This is hilarious and we had to share it with our users. It’s obvioulsy off topic, but the story was told to us by a loyal Words With Friends Cheat user, who allowed us to take screenshots and black out the details. 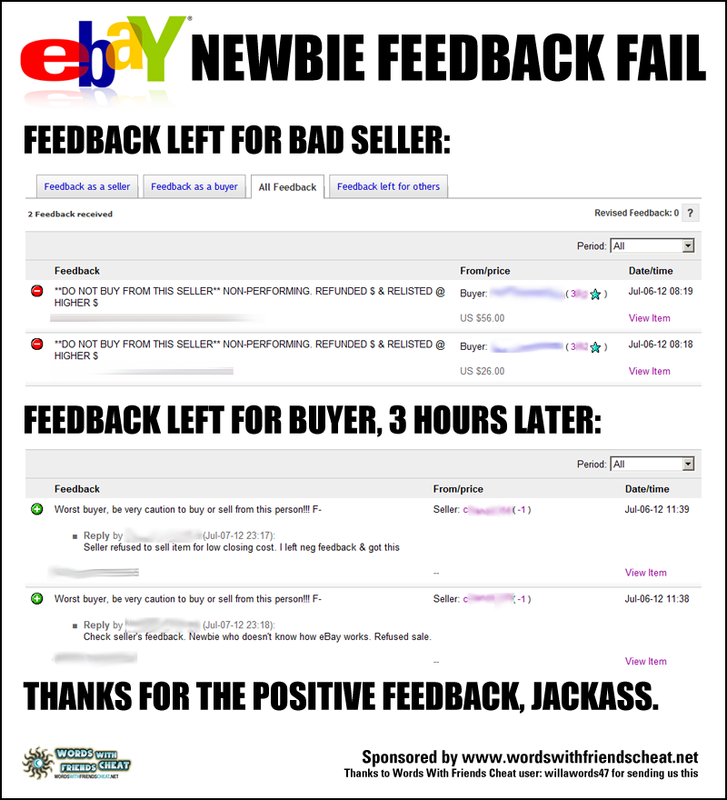 The user bought 2 items from a newbie seller on eBay who had never sold anything before. The listings were bad and the items closed way below market value. The buyer paid for both items immediately. They later received a message from the seller (via eBay) saying that the items were supposed to “sell for much higher” and that the payments had been refunded. The seller also sent a link to the relisted items, which were now posted at $200 each.